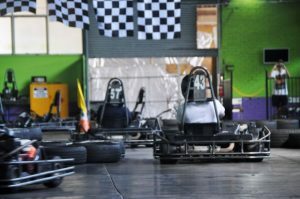 Introducing Australia’s Newest Go Karts – unleashed in April 2018 – our Sodi RT8 Go Karts are the latest and greatest from the leaders in Go Karting technology from Europe. 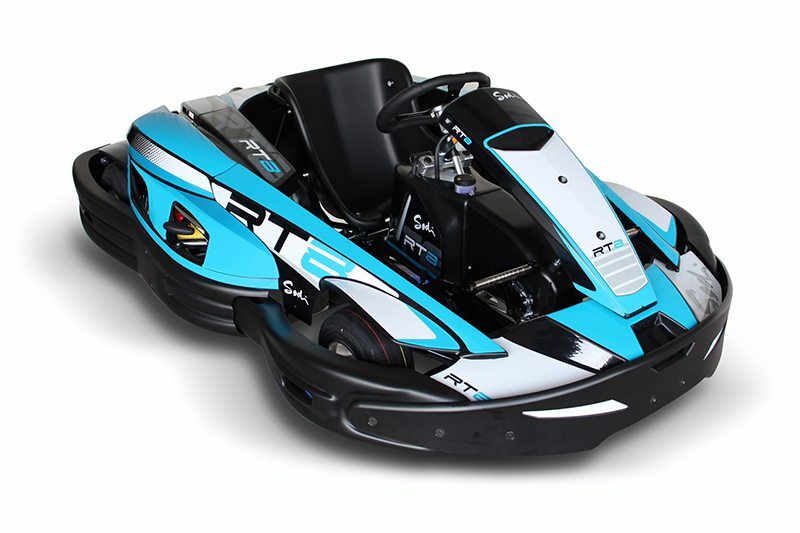 Featuring our specially tuned Honda GX270 4 stroke engines and geared specifically for our Track, these karts will propel you forward with explosive acceleration and huge amounts of torque allowing controlled slides and power drifts through the corners. Feather the throttle and control the brakes and these karts make for a blistering time if you can keep the wheel spin in check. 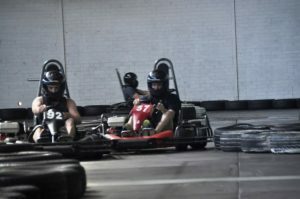 The best indoor go kart racing location in all of Sydney is Spitfire Paintball & Go Karts. 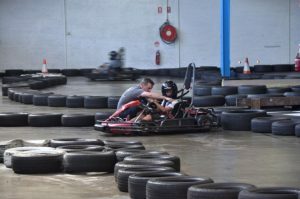 Our Go Kart Track, built in late 2013 to complement the already established paintball fields, has been redesigned, extended and modified to provide the most thrilling go karting events and driving on offer. When you’re looking for the ultimate test of skill and precision on the go karting track – Spitfire can’t be beaten. Take on your mates and claim the rights to the ultimate racer, you simply will not regret it. Facebook Registrations plus after event Lap Statistic Emails. You are welcome to Arrive and Drive although we strongly recommend calling ahead to avoid wait times and disappointment. To make a booking – a deposit of $10 per person is required to secure that booking. Zero Alcohol &/or Drug limit. Looking for that bit of exclusivity and complete control of the track? 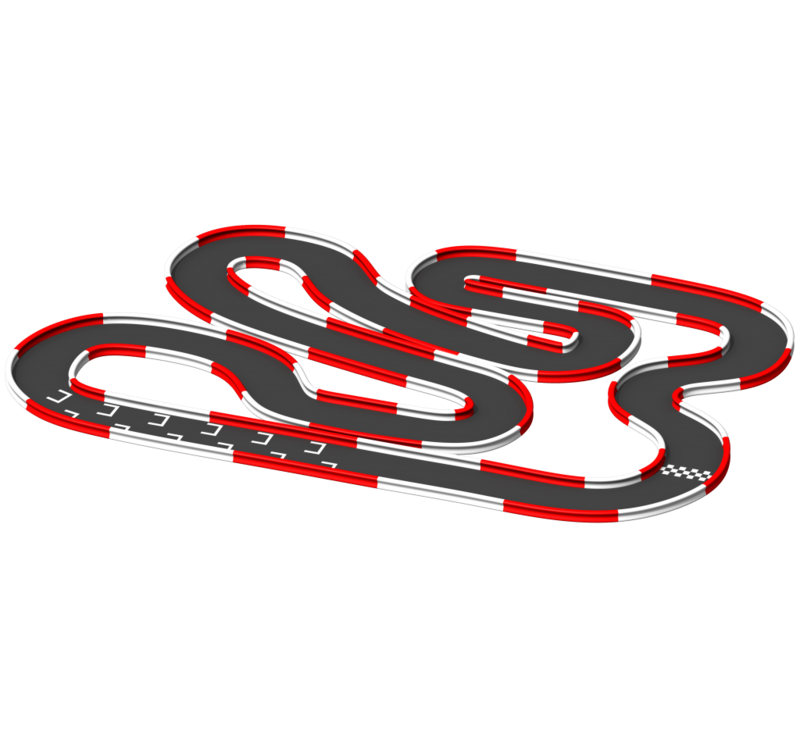 We can set up a Grand Prix Style Event, Extended Formats and Special Events all in our Track Hire option. 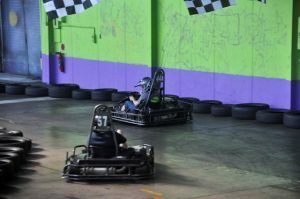 Have your kids next Birthday or Celebration at Spitfire Indoor Go Karts with our Kids Party Pack. All Participants MUST be 140 cm tall, bring Enclosed Footwear and have a Parental Consent Form. Booking required for discounted rate. Minimum Group size of 6 kids.